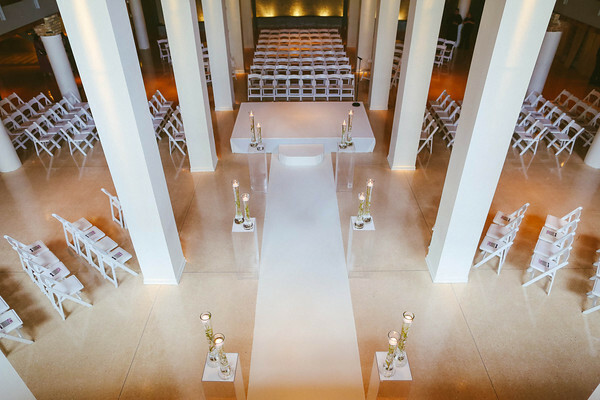 Hitched: Boris & Karen's River East Art Center Wedding - Part 2 — Sweetchic Events, Inc. The River East Art Center is such an unique venue! So with that in mind, why would they have a traditional ceremony set up? Instead, we did a modified "ceremony in the round", with the guests surrounding them! 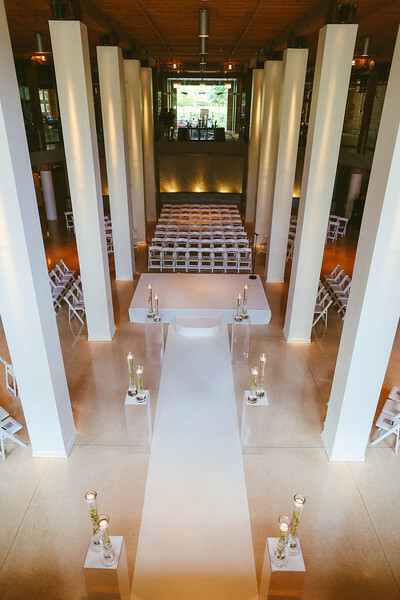 We kept the color palette very clean, white and modern. The acrylic pedestals were the perfect compliment to the huge existing white pillars, and it almost looked like the glass cylinders were floating! Photos by Fragola Productions. One of Karen's bridesmaids was super crafty and helped design and create all of the paper pieces! They had one of their close friends officiate the ceremony, which made it even more personal! A quick wave to the fans before making their grand exit! 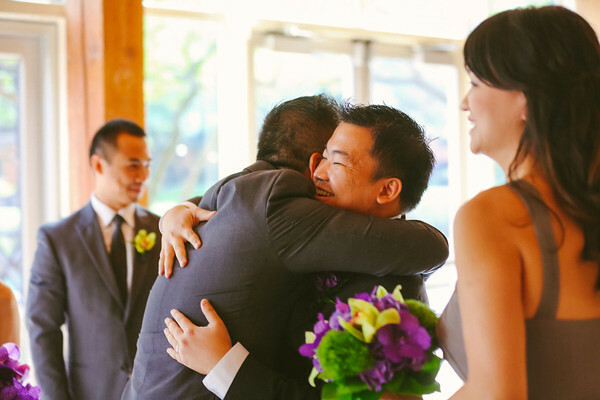 I love the precious moments of love and friendship immediately after the ceremony, hugs all around! As a nod to their Chinese heritage, they also held a Chinese Tea Ceremony during cocktail hour. They served their parents and immediate family members tea, and in exchange received red envelopes of "lucky money" and gold jewelry.